Another distinct trait that a Filipino can be most proud of is knowing how to spend money wisely. True! Drinkaholics would even sacrifice meals in a day just to say: Mas masarap MAG-INUM kesa mag ice cream. 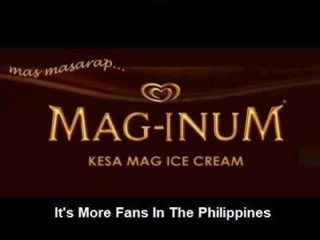 In the Philippines, even the teens would claim: Mas masarap MAG-INUM kesa mag ice cream. Crying and craving for ice cream no more!